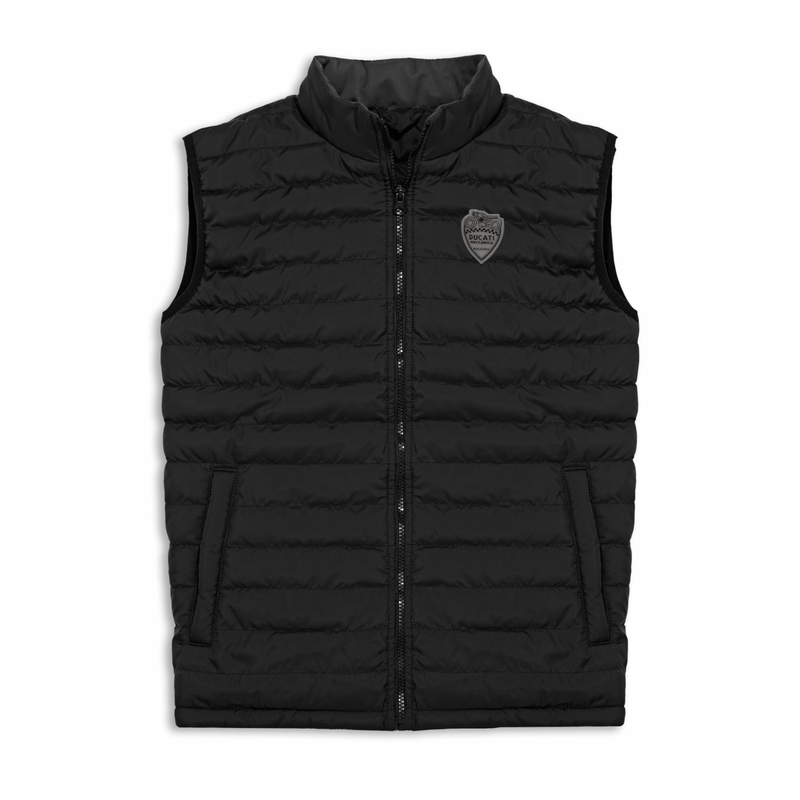 Created in nylon and 80 gram synthetic down, the sleeveless Historical gilet is a practical and versatile piece equipped with two useful outer side pockets with zip and an inner pocket. 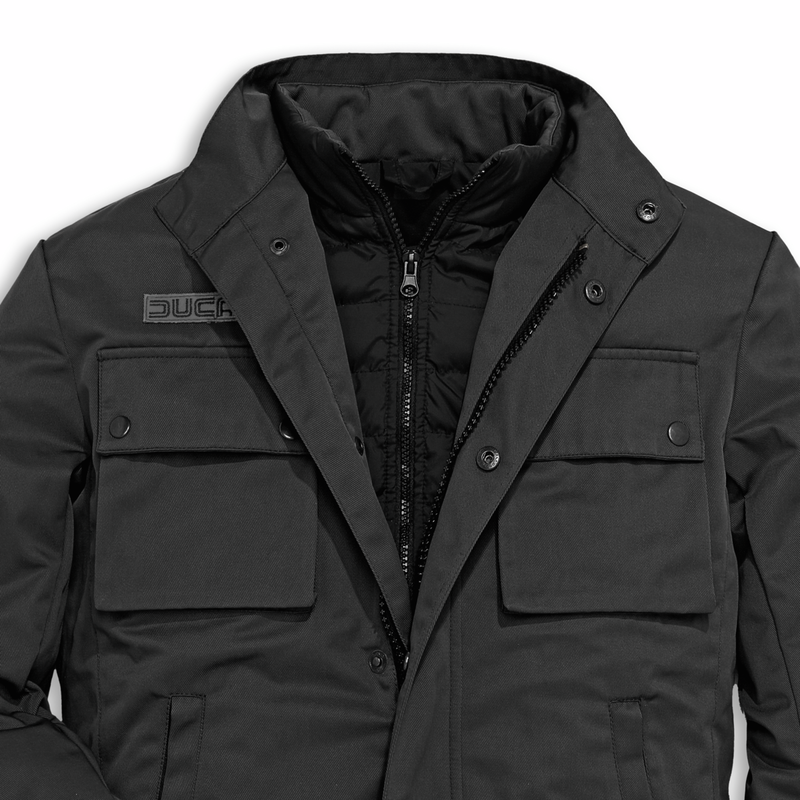 It is enhanced with the Ducati Meccanica shield patch on the chest and neck lining, created with the same fabric as the Historical Tex jacket, with which it can be paired thanks to the customised Ducati button on the back. Note: the jacket is sold separately.